China has been the largest distributor to global growth. To keep developing in fierce global competition, the company will always regard "Creating the top-grade products and services" as the basic strategy and management policy. As a member to produce the element part of machinery, Dalian Kaitele Machinery Co., Ltd is devoted to producing and developing high precise bearings. With consistently improving in innovation ability and techniques, KTL has been listed on the top place in occupation ratio of market and technical level for spindle bearing in China. The product's specialty and uniqueness are well recognized by experts in this industry. In the future, KTL will unswervingly adhere to the philosophy of "Customer Foremost"; focus on providing world-class and globally recognized bearing supply system; keep strengthening core competition and capacities and provide high-quality products and services that meet international standards and demands. KTL, an enterprise pursuing both profits and society value, is dedicated to contributing to China machinery industry through consistent innovation and harmonious social environment. Outlook KTL will focus on providing world-class and globally recognized bearing supply system. KTL will keep strengthening core competition and capacities to meet the products and services with global standards and requirements. Building our leading position, and standing above the market and customers' expectation by providing the most advanced high-precision bearings. Keeping sustainable development and environmentally-friendly principle, and striving to achieve company's mission. With excellent corporate culture and humanistic management, KTL is the home of every staff. KTL provides each employee with broad improvement space and fair platform. With sound training system, KTL has the capacity and responsibility to possess the most excellent staff by using inner and outer sources. 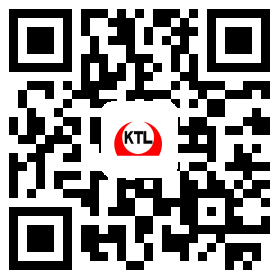 KTL is a young but energetic developing enterprise, with good human and culture environment. Most leaders are graduated from colleges. KTL is one of enterprises that employ the largest population of graduates in this industry. KTL has the most excellent and experienced technicians in this industry, which is a strong advantage to be the leading enterprise. Exerting HR large-scale influence on the basis of individual development while cultivating a strong team; Exerting the powerful team talent while gathering a great deal of labor force; Taking advantages of social network while emphasizing individual intelligent; Using both individual intelligent and social power; Respecting characteristic of human beings; creating and satisfying individual further demands; Optimizing HR structure by continuous employ experienced, improving and potential talents; Expanding employment channels: taking talent discovering in existing employees as the main channel while recruiting outstanding talents nationwide; Seeking foreign managers and experts to keep the space with international development; Enhancing enterprise's comprehensive strength, attracting and employing all the excellent talents in this industry.